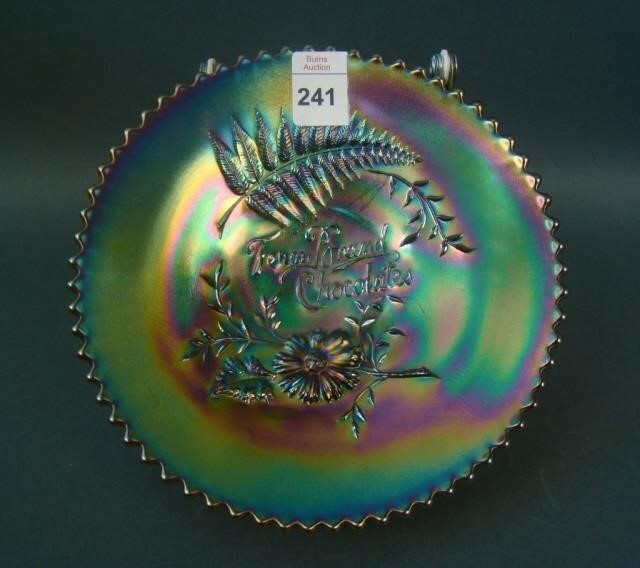 This is one of the most frequently seen advertising pieces. 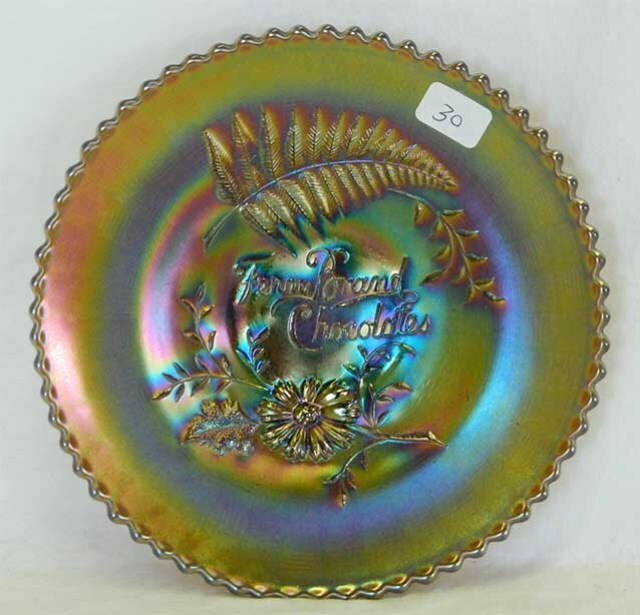 As with most others, it's 6 inches across. 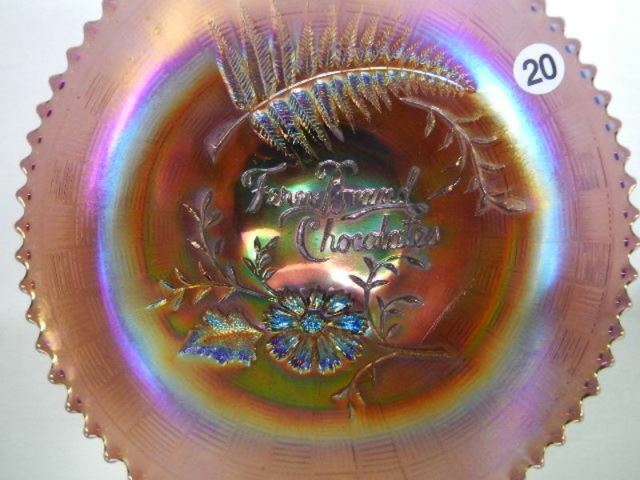 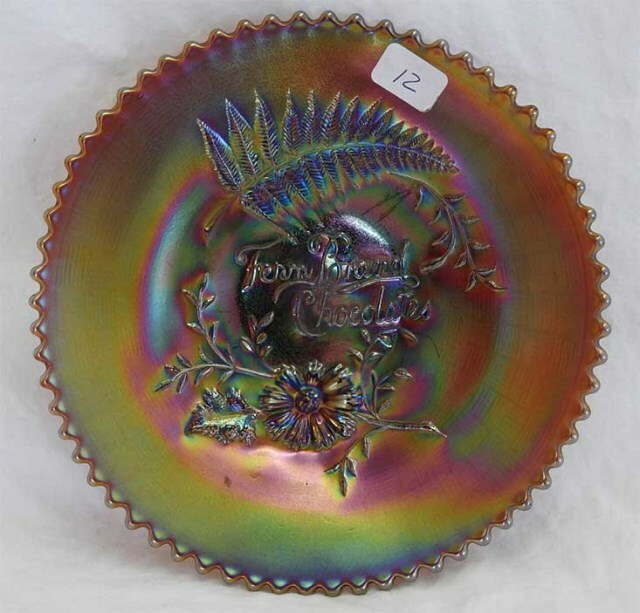 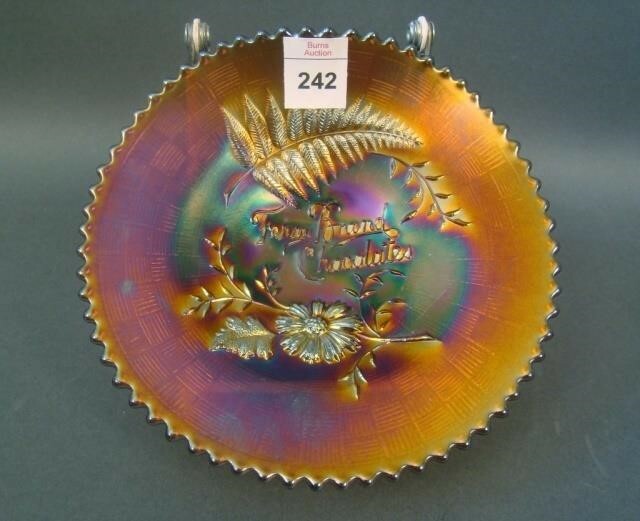 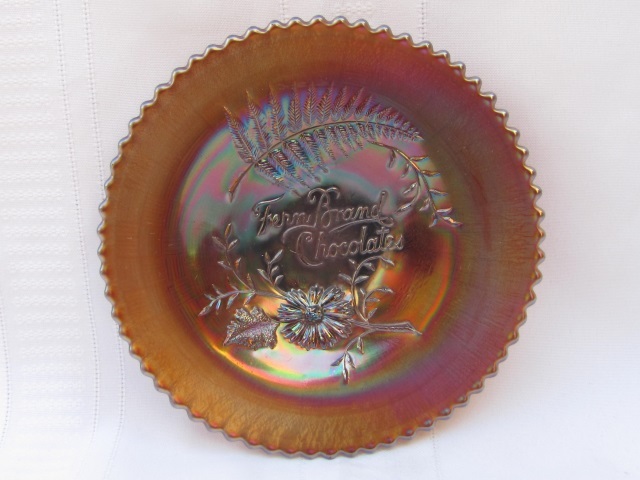 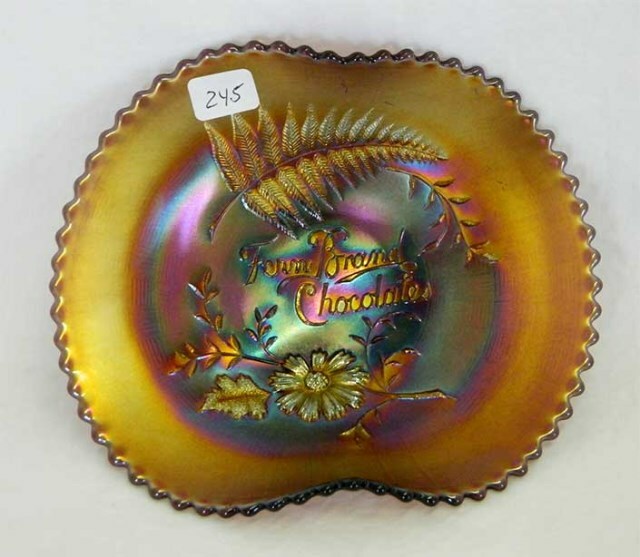 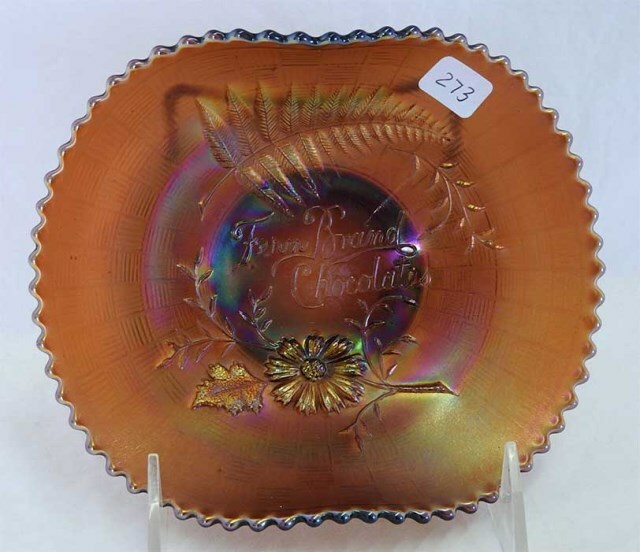 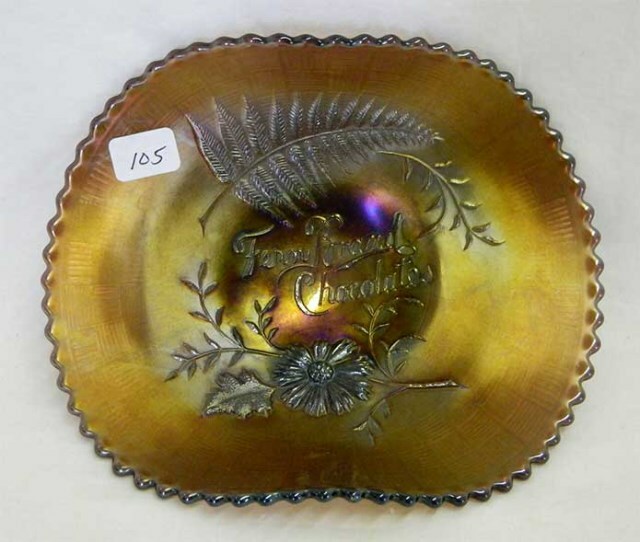 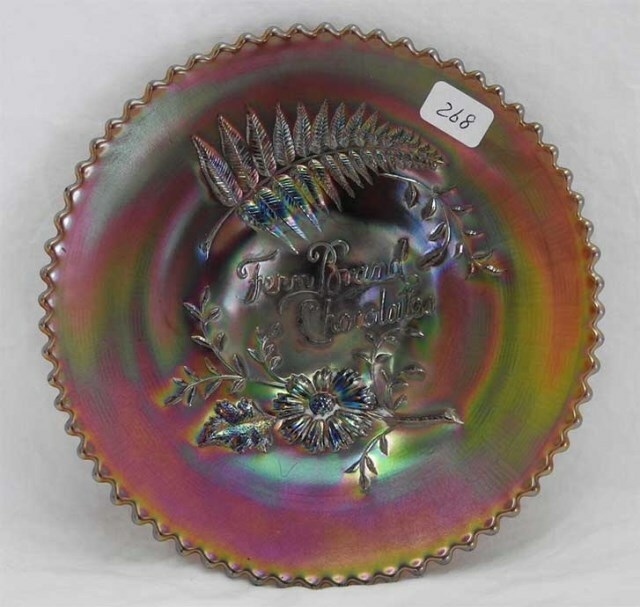 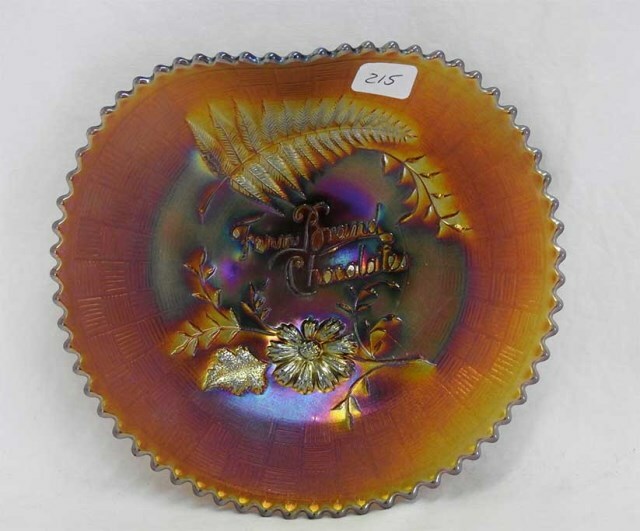 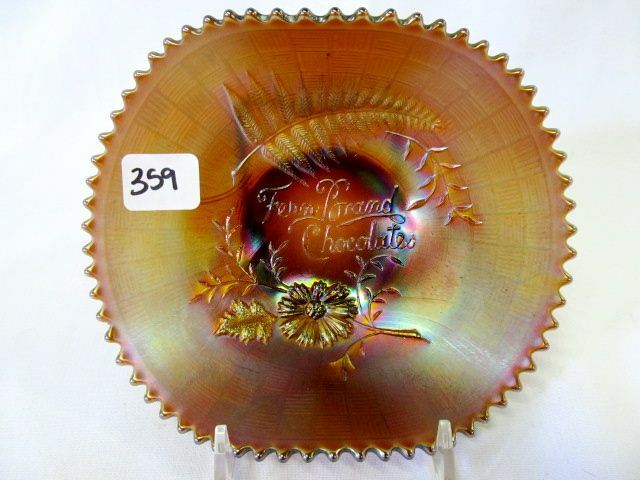 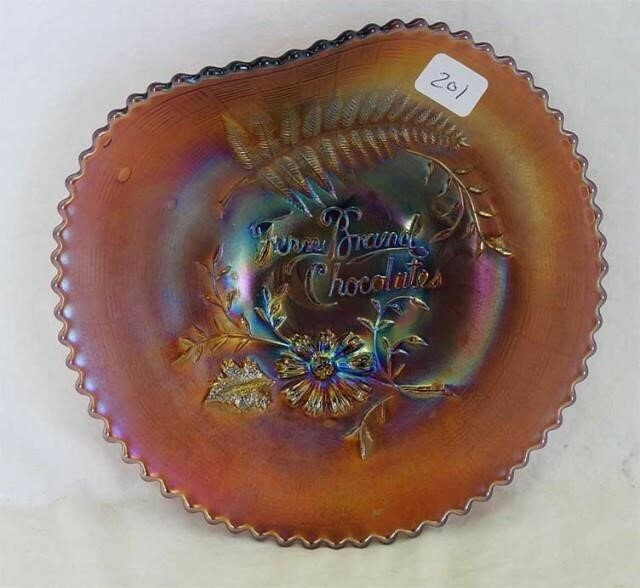 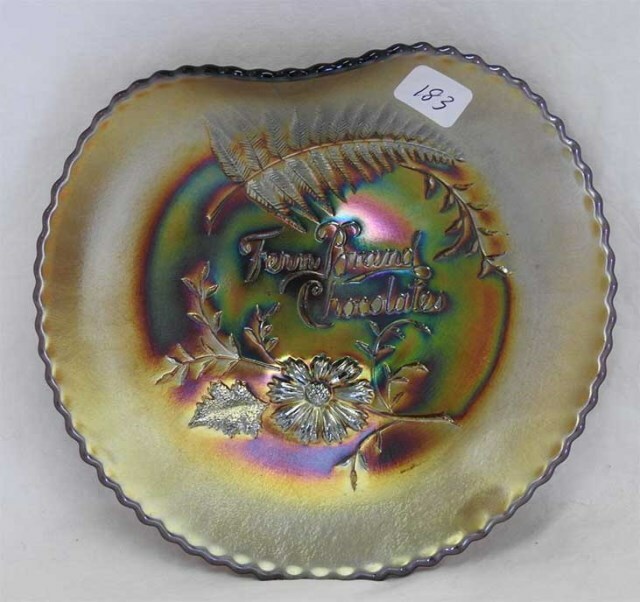 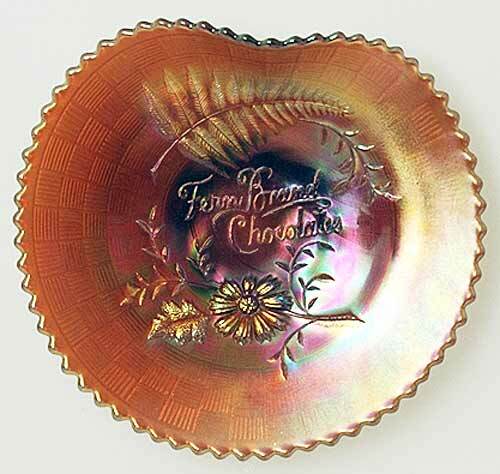 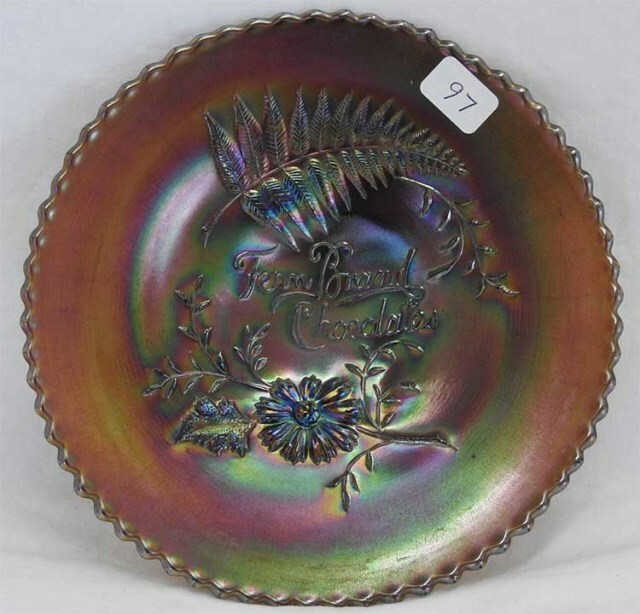 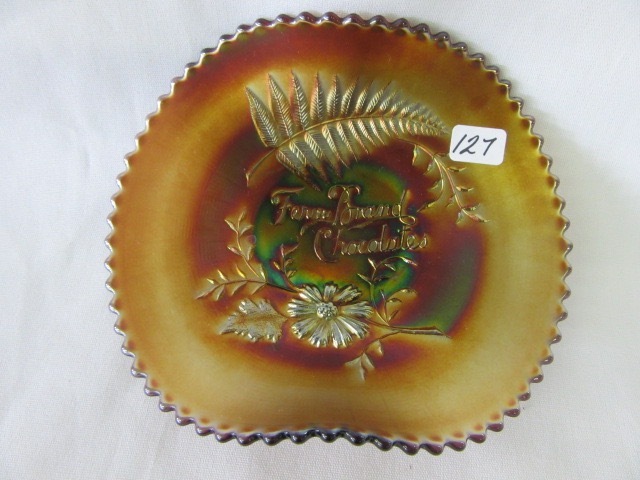 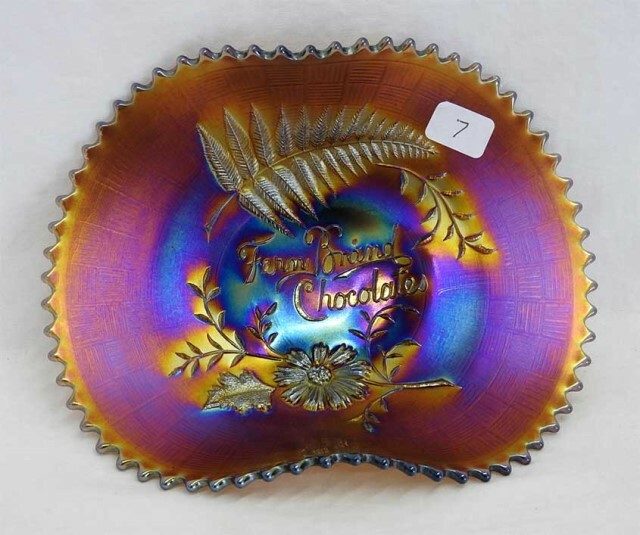 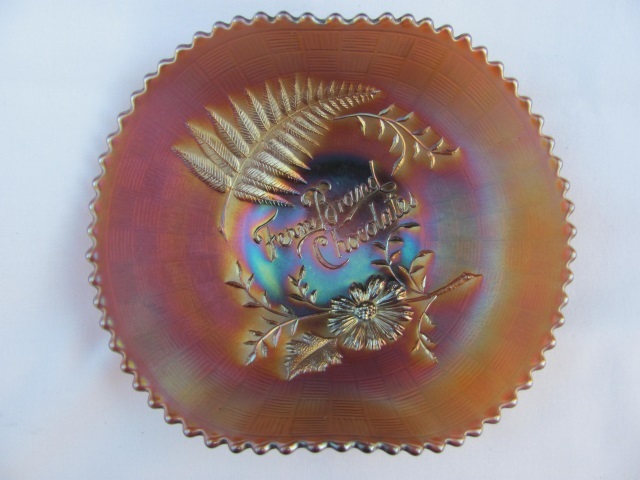 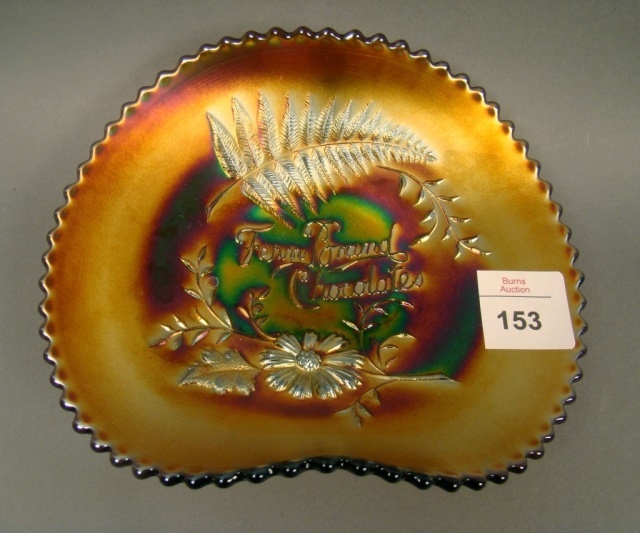 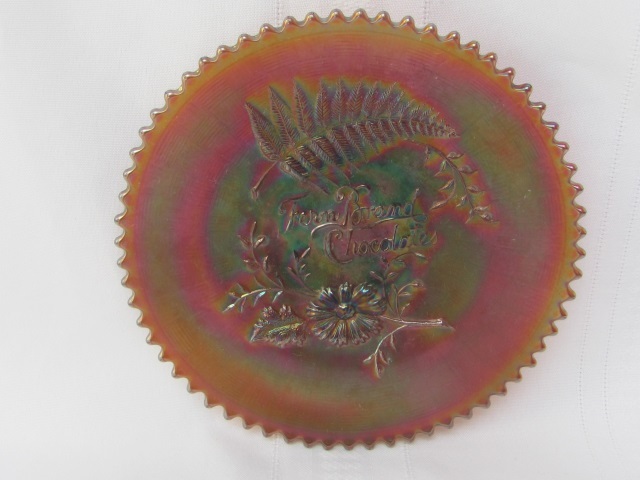 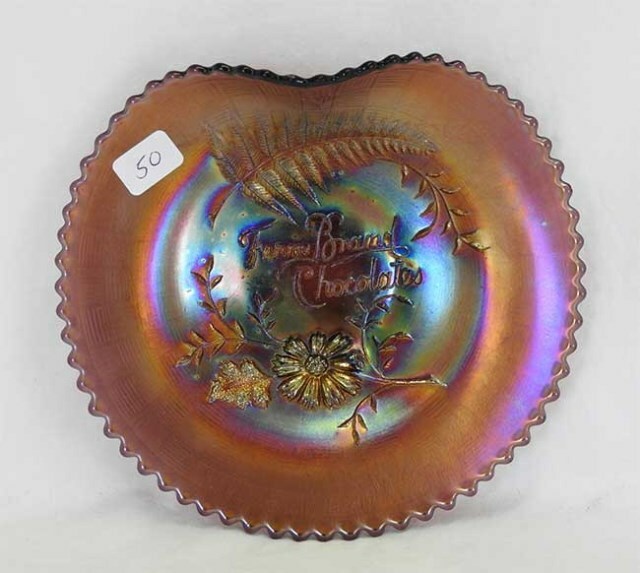 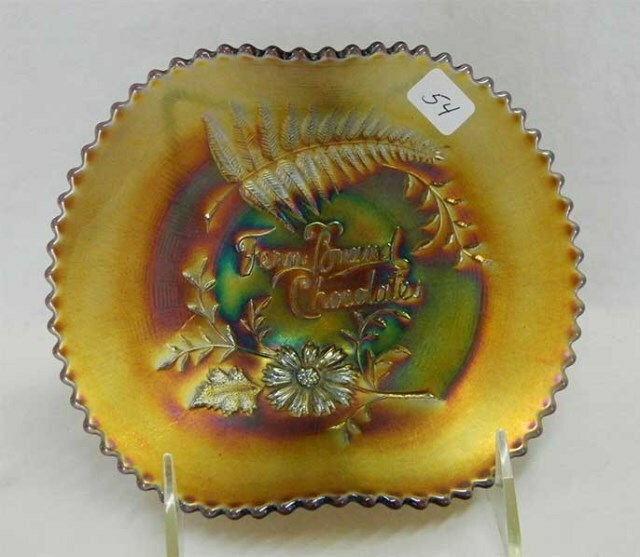 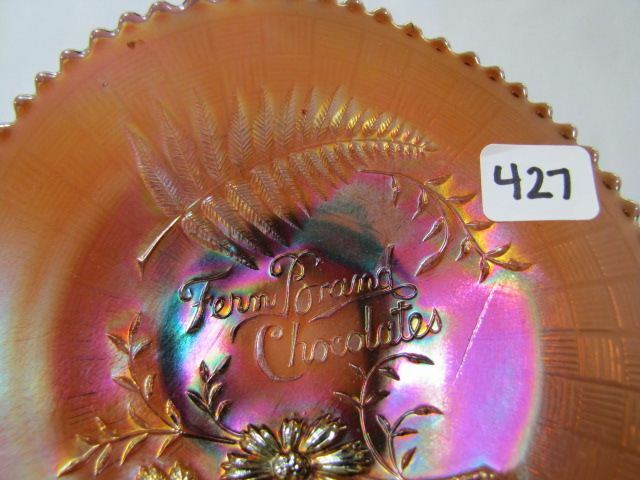 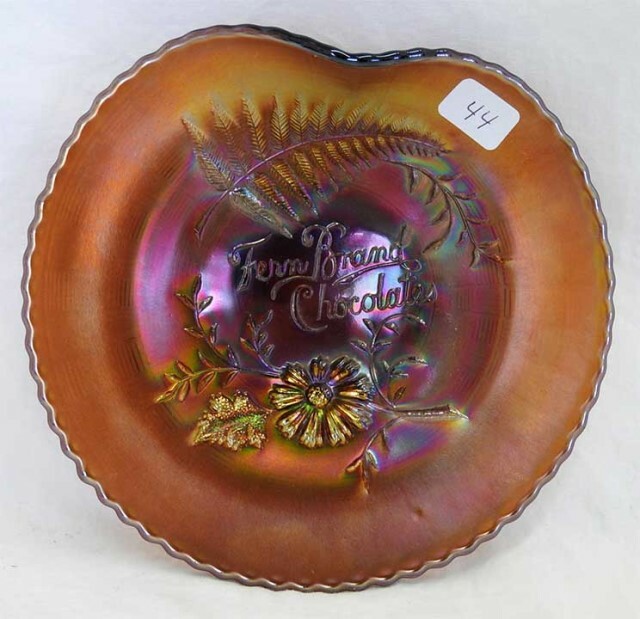 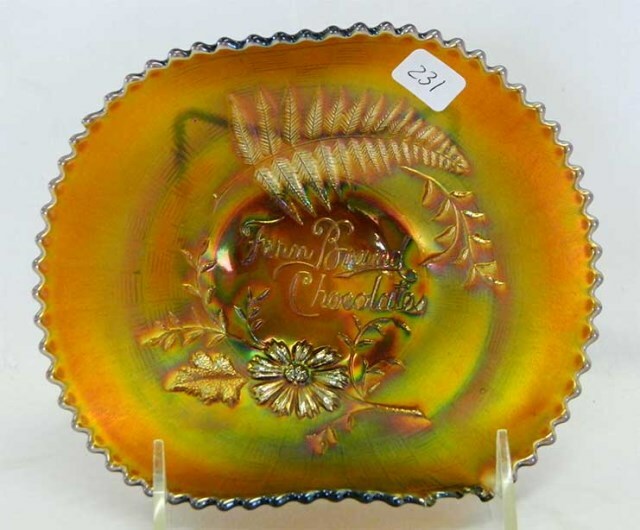 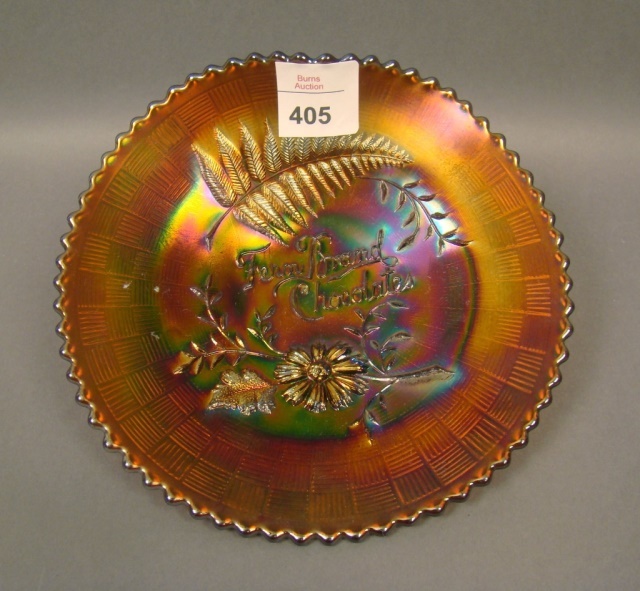 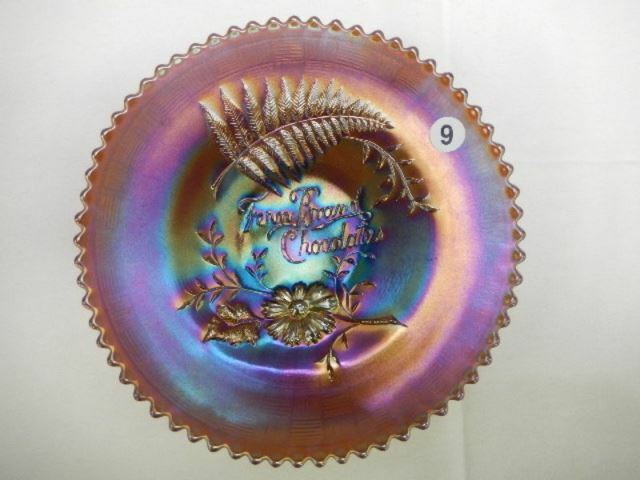 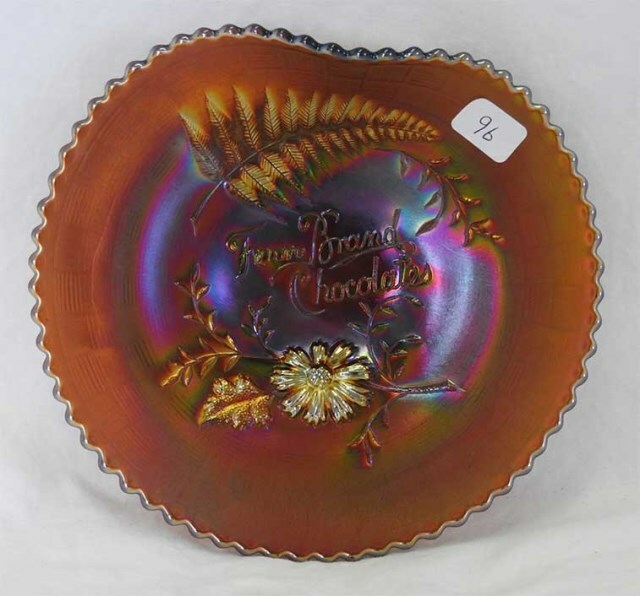 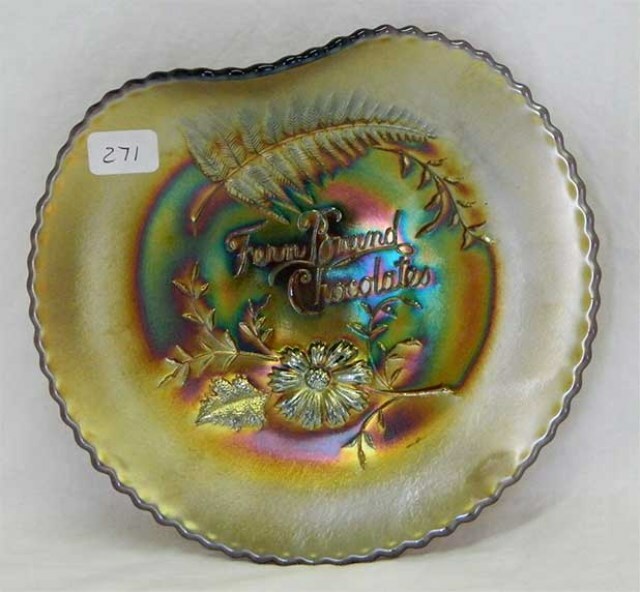 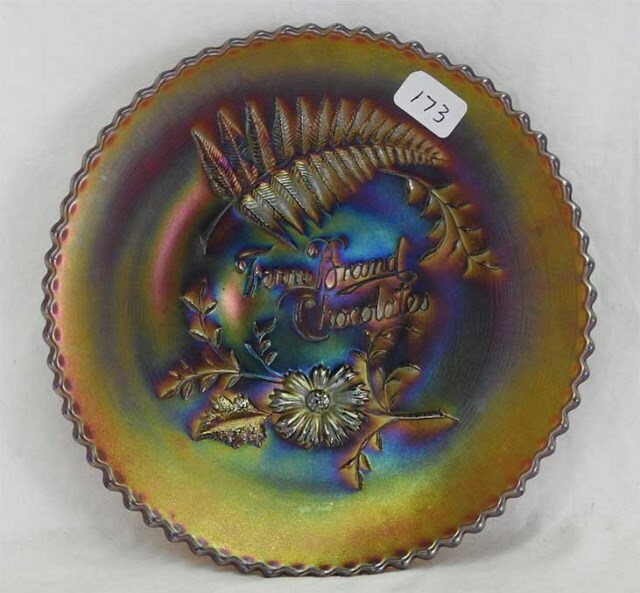 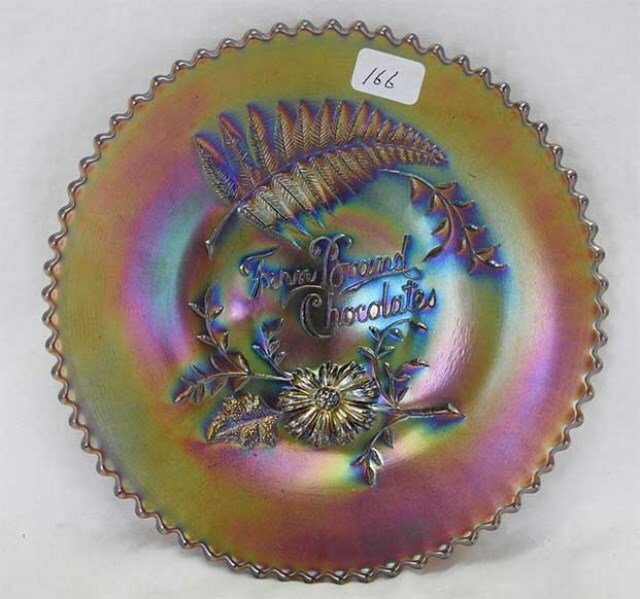 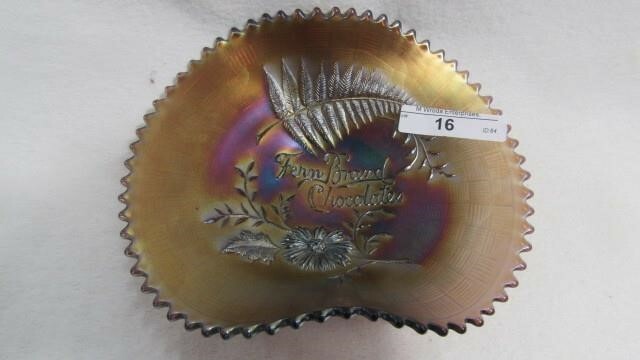 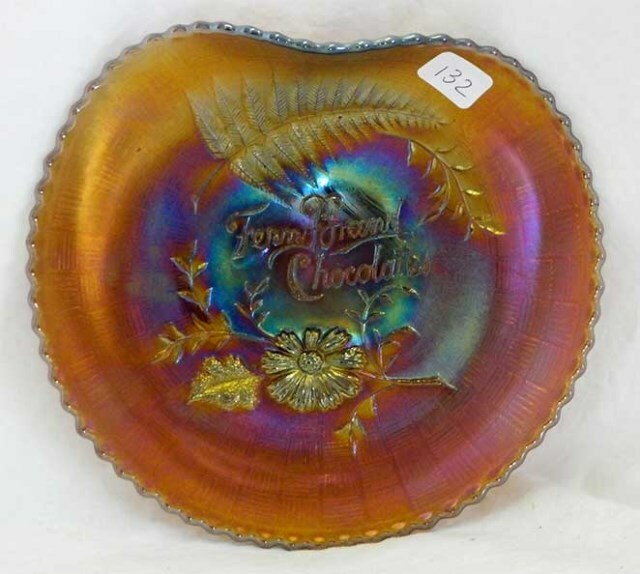 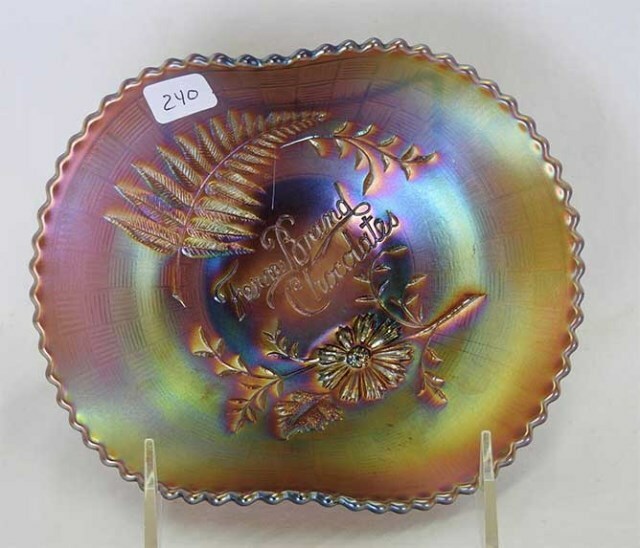 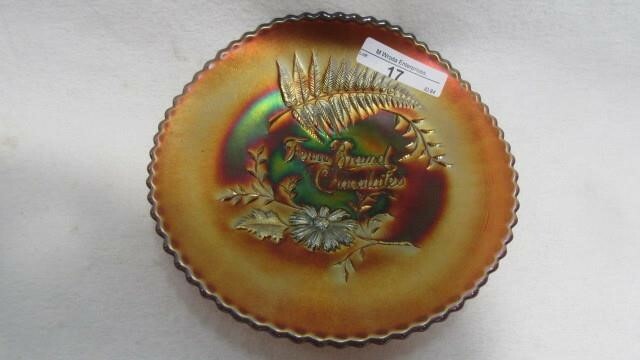 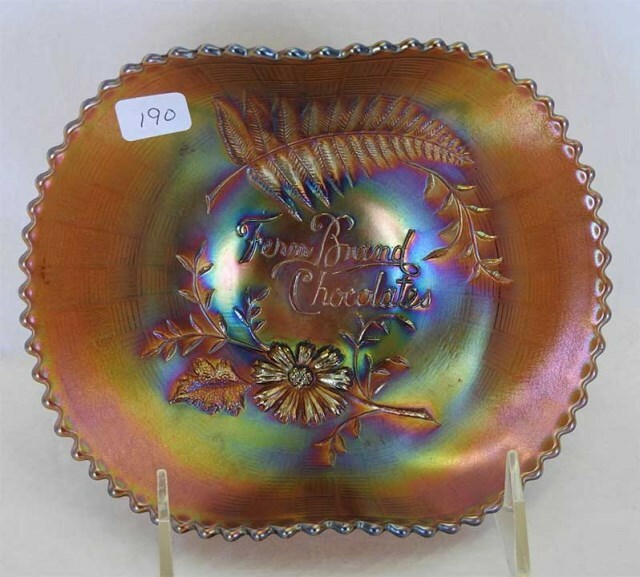 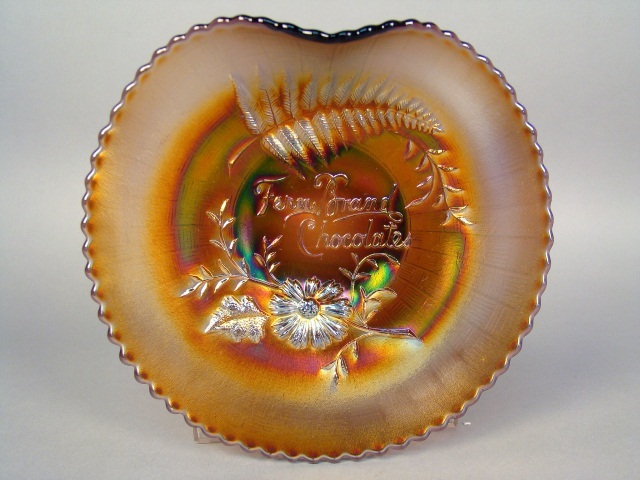 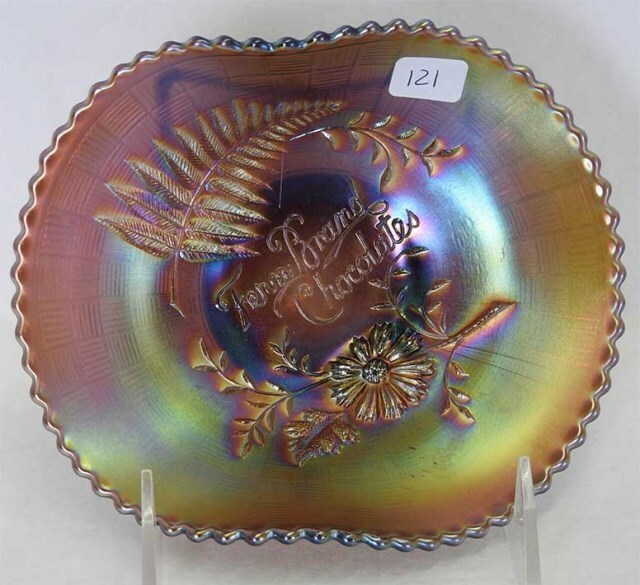 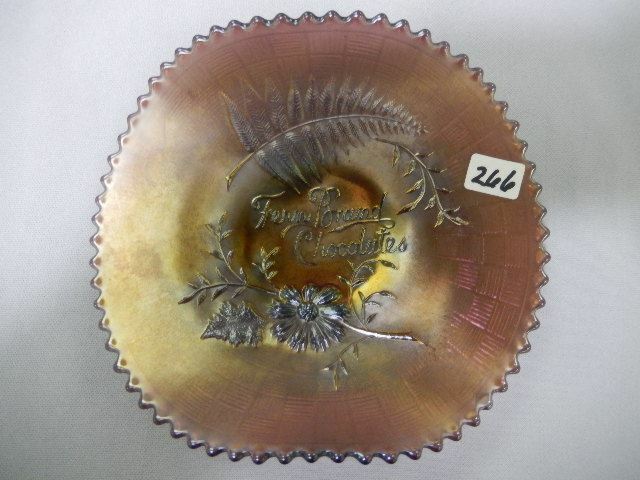 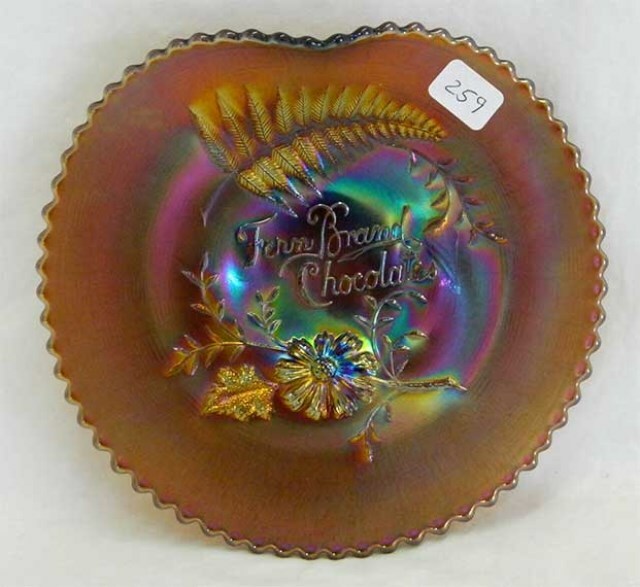 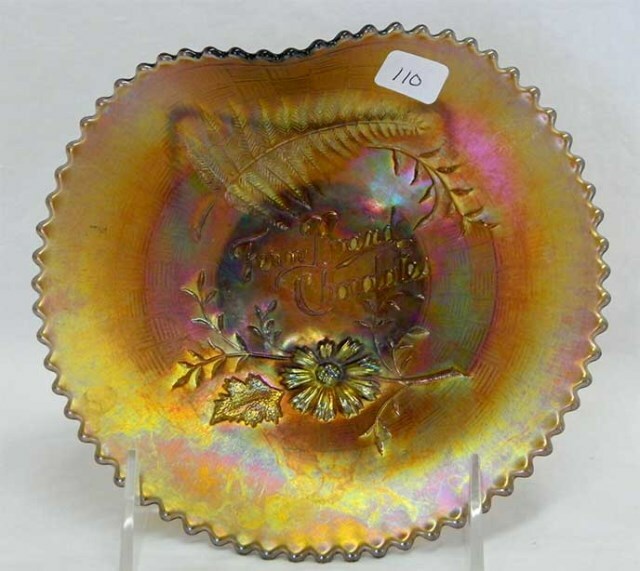 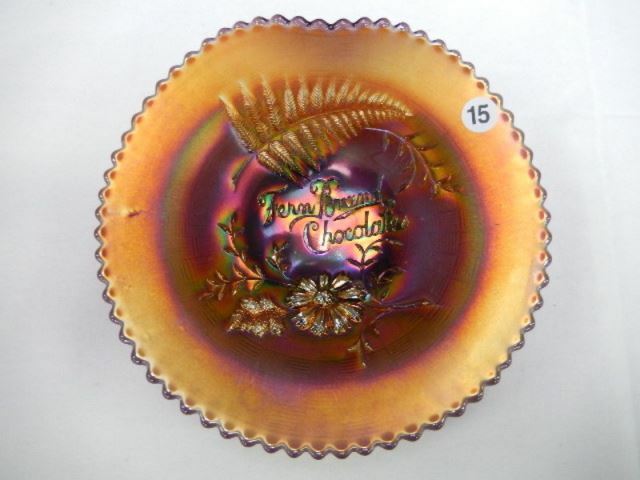 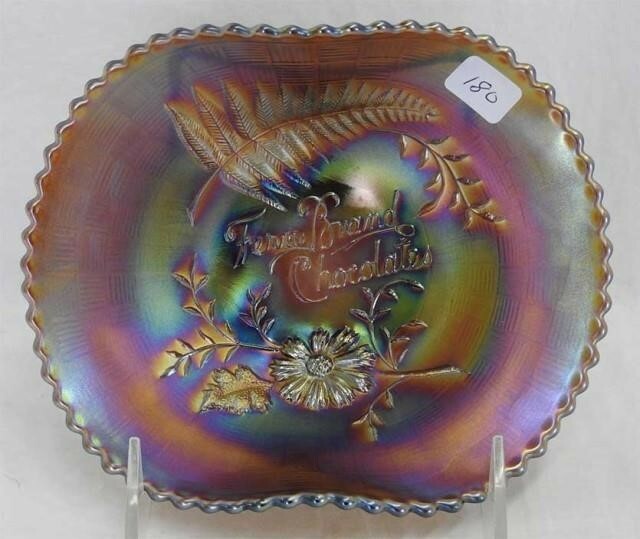 The lettering reads “Fern Brand Chocolates” and there is a fern frond substituted for one of the flowers usually found on these pieces. 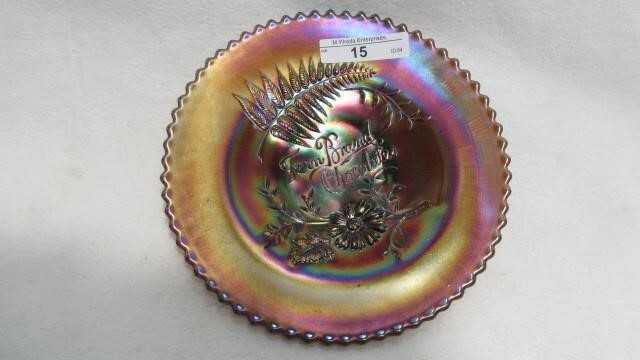 There are no bowls recorded in this pattern. 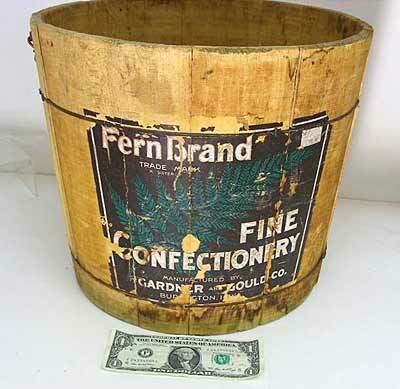 This unusual wooden bucket (above right) was apparently used to ship and store the Fern Brand Chocolates. 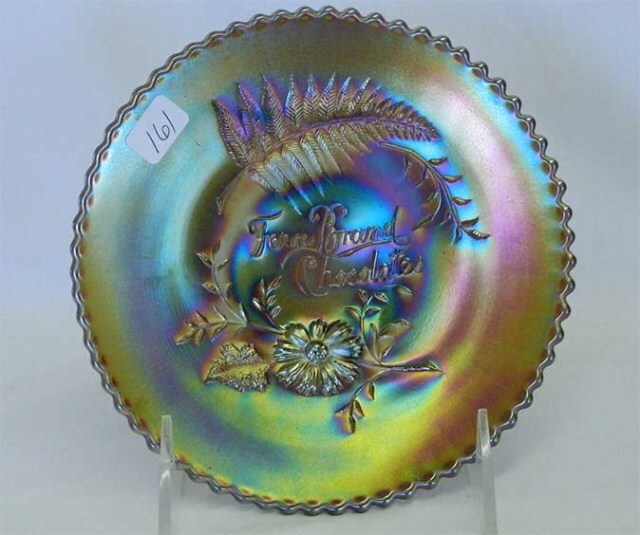 It sold in 2012 for $105. 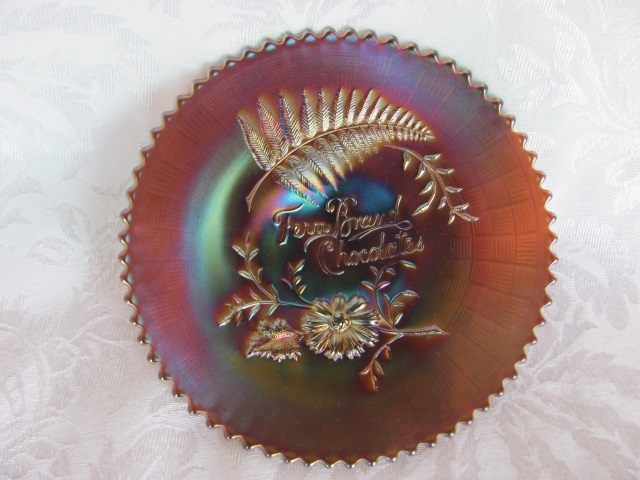 Photo courtesy of Mickey Reichel.